Another week in the MMA world, and another Bellator PPV for fans to sink their teeth into. 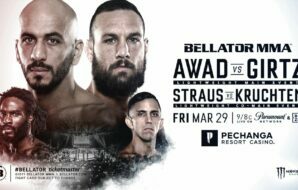 Bellator moves to California this week to bring their latest card from the Pechanga Resort and Casino in Temecula on Friday 29th March. An event that has a very good looking card, and the return of Daniel Strauss after his motorcycle accident in 2017. 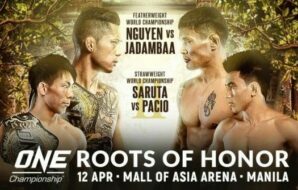 The main card is one that will have fans gripped to their TV’s with an opening bout of former kickboxer Joe Schilling going up against Keith Berry in a middleweight bout. There is a welterweight bout between Andrey Koreshkov and Mike Jasper, with the main card rounded out by two Lightweight bouts, as the returning Strauss faces Shane Kruchten and the main event bout between Saad Awad and Brandon Girtz. The main event has Cali native Saad Awad (23-10) look to get back into winning ways. Awad lost last time out to Benson Henderson in October but had previously gone on a four-fight winning streak, including finishes over Ryan Couture and Zach Freeman. Awad is a finisher and will no doubt be looking to do the same to Girtz this Friday night. Having scored a majority of his wins by KO, Awad also holds seven wins by submissions, proving he is good on his feet, but can finish on the ground as well, and could arguably go into this fight as the favourite. His opponent Brandon Girtz (15-8) has not had as good a record as Awad in his last five. His only win in those five fights came against Luca Jelcic in December 2107 in a first-round KO. having lost the other four bouts, including a first-round submission loss to Michael Chandler at Bellator 197 in April last year. Girtz should have stepped into the cage in February to face Pedro Carvalho, however, Carvalho had to pull out due to injury. Girtz has won the majority of his fights by submission, so I would be surprised if this main event were to go to a judges decision. The co-main event sees former champ Daniel Strauss (24-8) return to the cage for the first time since December 2017. Strauss was involved in a motorcycle accident shortly after his loss to Emmanuel Sanchez. The accident left Strauss unable to walk for EIGHT months. 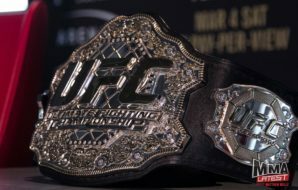 But the American Top Team fighter has fought back to be able to step into the cage again, after what could have been for many, a career-ending accident. 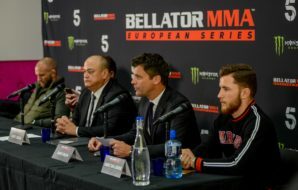 Even though he did lose his last two in the Bellator cage against Sanchez and Patricio Pitbull, to come back from such an accident will no doubt have the majority, if not all the arena pulling for Strauss. Cage rust may well be a factor for this co-main event. As Strauss’s opponent Shane Kruchten hasn’t fought inside the cage in well over a year. In fact, since December 2016, Kruchten has only fought twice. A unanimous decision win over Jeremy Mahon as WSOF 34. 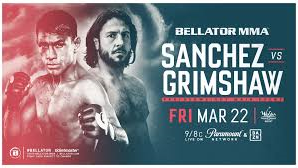 The California native, however, did lose his Bellator debut in January of last year within 37 seconds of the first round, after Aaron Pico won by KO. The next fight sees former Bellator champion Andrey Koreshkov (21-3) come back into the cage after losing last time out to Douglas Lima, with Koreshkov only losing twice since 2014, both against Lima. However the Russians last two victories both came first round finishes over Vaso Bakocevic and Chidi Njokuani respectively. The former champ has finished 12 of his 21 wins by KO, with the majority coming within the first round, which doesn’t make good reading for his opponent. Mike Jasper (13-4) will be stepping into the cage to face Koreshkov on Friday night. 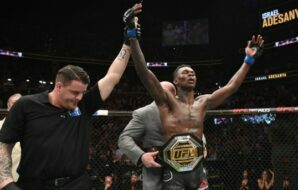 Jasper steps in late to replace Lorenz Larkin, who had to withdraw from the fight due to an injury. 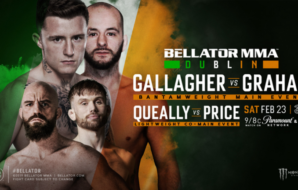 Jasper will be making his Bellator debut, but comes into on good form, having won his last 3 fights in CXF, with two of those wins coming via KO. Similar to the main event, it may be a surprise if this fight goes the distance. The first fight of the main card sees Joe Schilling (3-5) face veteran Keith Berry (15-14-1). Schilling has not had the best of starts to a professional career, however, two of his three wins have come inside the Bellator cage. Last time out Schilling caused Will Morris to retire after the first round. 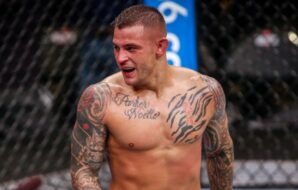 But taking several years off from MMA, the Kickboxer went back to his roots and fought for GLORY, only to return to MMA in 2014, allowing him to go 2-2 under the Bellator banner. His opponent Berry has had poor results in his last few fights. A loss last time out to Joseph Henle in November, and a unanimous draw against Kevin Casey in January of 2017. 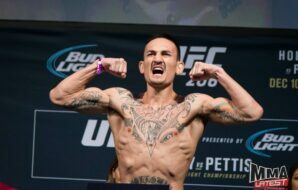 The Casey fight was Berry’s return to the cage after being banned due to a failed drugs test. 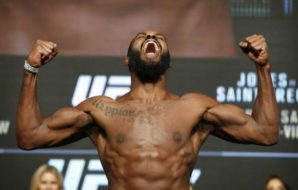 His fight against Joe Pacheco in October 2014 was originally a win for berry by split decision, but after failing the test was ruled a No-contest. Berry will be looking to get back to winning ways, and earn his nickname of the ‘KO Kid’. 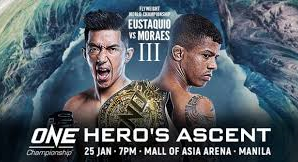 There is a possibility of a couple of upsets within the main card, but no doubt it will be a night of emotion for Strauss, and a great night of fights for fans.